In 2017, the 1969 Maserati Ghibli broke a historic record, selling one unit for no less than $920,000 in an auction. Its trademark, elegant shape and powerful engine have earned it a place in the hall of fame of classic cars from the sixties. Just as many others from years past, the 1969 Maserati Ghibli is a little tricky to maintain, but with the proper information and resources, you can keep it shiny and running for as long as you want. Here we’ll discuss the history of this model as well as important things you must bear in mind when running your routine maintenance on the Ghibli. The first Ghibli was presented in 1966 at the Turin Motor show in Italy. Its design was so innovative and captivating that other manufacturers like Ferrari and Lamborghini quickly tried to jump on the wagon, taking influence from the groundbreaking Ghibli. The 1969 model incorporated improvements such as a convertible hard top and an optional three-speed automatic, a mind-blowing feature for the decade. It still sported the innovating lines of its design by Ghia studio employee Giugiaro, which certainly played a big role in earning a spot in the Maserati classic lineups – the 4.7-lt V-8 that put out 326 horsepower and 325 lb-ft of torque also helped a lot. Classic car owners often, and understandably, take issue in updating their vehicles by tuning them up or adding new gadgets. However, with changing regulations on car safety, especially with older cars like the 1969 Ghibli, you might need to make some modifications to your car in order to comply with the law. Rear cameras are one of the best examples of this. In order to preserve the classic look of your Maserati from all angles, you will want to add a discrete built-in backup camera. These sit on your license plate and send a signal to your dashboard or rear view mirror. The AUTO-VOX Cam1 and the 4UCAM are amongst the best rated options. A rear camera can be wirelessly connected to an OBD-II system to add complementary information on the surroundings and the general state of the car. Wireless connectivity in general is a great trick to add gadgets and complements to a classic car without major modifications to the chasis. Moving on to the outside, one of the best ways to improve your driving safety is updating your tires. The 205 VR15 tires that this model sports lack the grip and and steering of their radial counterparts, so in order to improve maneuverability you might feel tempted to upgrade them. The American Classic is a patented radial ply that looks like bias, so the aesthetic change should not be too extreme. However, there are risks associated. The magnesium alloy wheels of these models are not prepared for the added physical stress of radial ply tires, so if you want to move on to radials you should either replace your Maserati’s original wheels, or keep a close eye on stress cracks. Regardless of whether or not you update, remember to move your car regularly to prevent tires from getting flat. If you don’t drive your Maserati regularly, every couple of weeks you must set your gearbox to neutral and move your car two feet forwards or backwards. Since manufacturing techniques and materials have changed a lot in the last 50 years, maintenance products made for today’s car could not be fitting for you 1969 Maserati Ghibli, and may even damage it. For example, motor oil has changed its composition since the 60’s. Old classic cars benefit from a high concentration of the ZDDT component found in many old lubricant formulas. It’s antioxidant, corrosion resistant and heat-activated, so it works best in sports car engines. However, modern oil formulas have reduced ZDDT, so make sure to check your lubricant’s concentration and, if needed, complement it with a ZDDT additive. Changes in the car industry have also affected the inside. Modern upholstery care products, which are often liquid leather conditioners, are not good enough for the leather inside a 1969 Maserati Ghibli. These conditioners are designed for cars manufactured after the eighties, which feature a vinyl coating that blocks the action of other types of conditioner. A car from the sixties will benefit from a cream leather conditioner instead, so make sure to get one. Also, your Ghibli’s leather will not be harmed by clean water, so don’t be afraid to clean your seats with a rag and soapy water. The Maserati Ghibli is remembered as a breakthrough in design and style, which is the least we could expect from this ingenious Italian company. 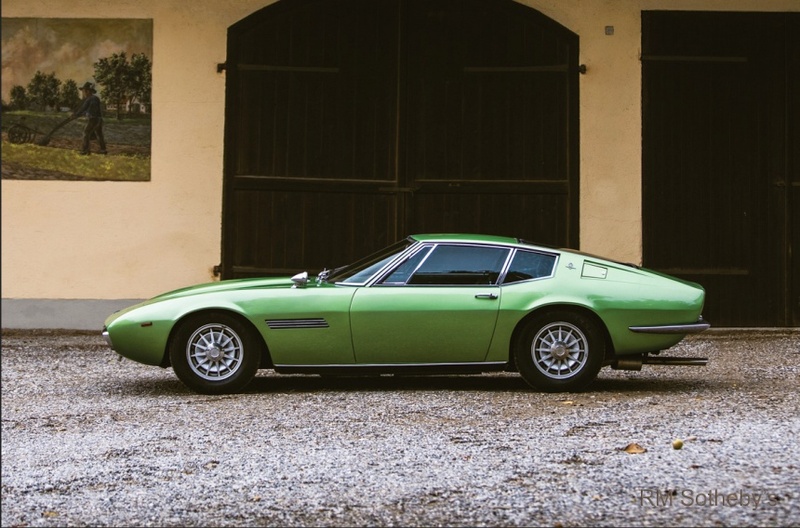 The 1969 Maserati Ghibli is a time capsule of the daring, boldest, classiest late sixties vibes. Make sure to maintain your car properly, know it well and give it what it needs. In return, you will enjoy a fantastic experience riding in this fine piece of craftsmanship. Jacqueline Booth spent the first part of her career working alongside her father in his garage, where she gained a passion for all vehicles. She has now started the second part of her career as a freelance writer for a range of motoring and technology websites that specialize in featuring pieces on the proper care and maintenance of vehicles, as well as the latest technology shaping the motoring world.